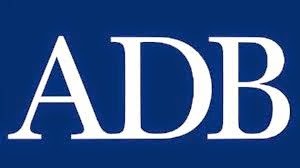 The Asian Development Bank (ADB), in partnership with the Government of Japan, has been offering for years the scholarship program, Asian Development Bank-Japan Scholarship Program (ADB-JSP) scholarships. The ADP-JSP Scholarship Program provides the opportunity for well-qualified citizens of ADB’s developing member countries to undertake postgraduate studies in economics, management, science and technology, and other development-related fields at participating academic institutions in the Asian and Pacific Region. Applications from suitably qualified candidates are encouraged. Upon completion of their study programs, scholars are expected to contribute to the economic and social development of their home countries. Be a national of an ADB borrowing member country (applicants from countries that are no longer borrowing from ADB are not eligible for the ADB-JSP Scholarship). Have gained admission to an approved MA/PhD course at an academic institution . Obtained a bachelor’s degree or its equivalent with superior academic record. Have at least two (2) years of full-time professional working experience (acquired after a university degree) at the time of application. Proficiency in oral and written English communication skills to be able to pursue studies. Be not more than 35 years old at the time of application. In exceptional cases, for programs which are appropriate for senior officials and managers, the age limit is 45 years old. The ADB-JSP provides scholarships only to participating academic institutions under the Program. Postgraduate level studies in economics, management, health, education, agriculture, environment, natural resource management, science and technology, and other development-related fields. The scholarship is for one year with an extension to the second year of study, as appropriate, which shall be conditional on the scholar maintaining a satisfactory level of performance as determined by the institute. The maximum duration of scholarship award is two years for masters and doctorate programs. Applicants should request information and application forms from their chosen academic institutions. They should indicate to that institution that they are applying for admission and would like to be considered for the ADB-JSP Scholarship. The completed institution Application Form and required documentation(s), including the ADB-JSP Information Sheet form, should all be submitted to the academic institution. No separate application to ADB is necessary. You must send in your application for scholarships at least six months prior to the planned time that you wish to commence studies. Thus, it is necessary to refer to the intake periods and deadline dates of application of participating institutions. The normal month of intake / deadline of application of the various participating Institutions vary greatly throughout the year. Please refer to the normal month of intake and deadline of application in the participating academic institutions. The ADB-JSP enrolls about 300 students annually in academic institutions located in 10 countries within the Region. Upon completion of their study programs, scholars are expected to contribute to the economic and social development of their home countries.